What are my thoughts on Final Cut Pro X? I’ve been wracking my brain for synonyms for “Awesome” and “Jaw dropping” as Larry Jordan described it, but really, that will do. With the caveat that we’ve seen only a fraction of a brand new app and what we saw raised as many questions as it answered. Walter Biscardi does a good job of enumerating the unanswered questions and I’m concerned about XML out of and back into Final Cut Pro X. We got a very brief overview of some key features – the headline stuff – but no real depth. Heck, we didn’t even see a single menu being pulled down! With time to consider, maybe that’s too forward looking, but my fondest hope is that Apple has taken the time to re-imagine Final Cut Pro and a NLE interface in general. The fact that it is 64 bit, uses “Snow Leopard” technologies such as Grand Central Dispatch, and supports 4K means that it’s not based on QuickTime. 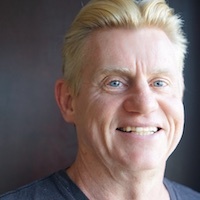 While they could have rolled their own, I believe it’s based on AV Foundation – certainly no-one has tried to discourage me from that thought – although it is unconfirmed. It remains the most logical explanation for the performance improvements we’ve seen. I also nailed the fact that it would ship on Snow Leopard despite a number of people’s speculation that it would be Lion only. I really don’t know where to start with impressions of features, such as we have seen. I’m overwhelmed by them. Overall I love the dark interface. It’s coming close to a signature look – the latest version of Quartz Composer has a very similar look. Yes, it does look like iMovie, but I don’t think it’s built on the iMovie code base (as iMovie still seems to be QuickTime because its needs are much less than Final Cut Pro’s, but there is a sense that this is “iMovie Pro” which, unlike most who use the term, I mean positively) because there are some excellent features trialled in iMovie ’11 that have made it into this release. It’s not “iMovie Prosumer” – the features demonstrated were way beyond even the most avid consumer or prosumer. They are features that only appeal to professional editors. When the modern iMovie was demonstrated at LAFCPUG a couple of years back, there were a lot of professional editors who wanted features from iMovie. Well now we have them. 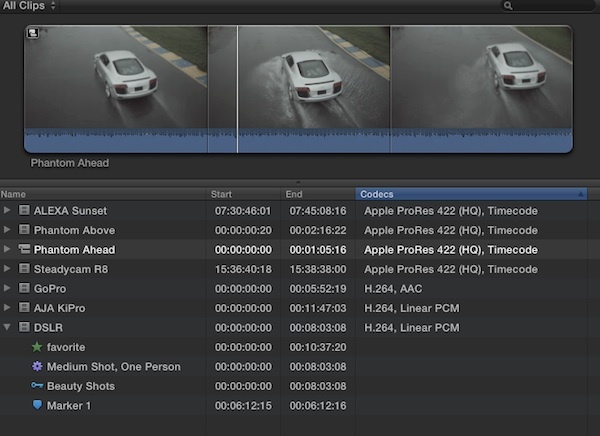 Final Cut Pro X's new fluid interface. What they have done is take the best concepts of iMovie and applied them to the design of a new professional NLE. 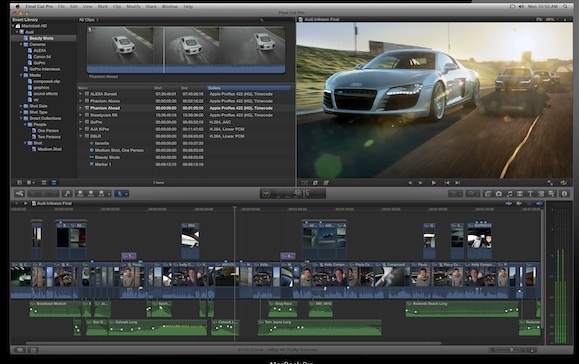 Final Cut Pro X is a fitting sequel to Final Cut Pro. And a foundation for the next 10 years of NLE design. Now that we’re on a modern code base, with modern features and underpinnings that take advantage of every ounce of juice the hardware (CPU, GPU) has, the app can develop to accommodate changes in the future. If 3D should ever really become a task for more than a small percentage of users, it could be added. If we get new formats, support can easily be added. I’m trying to pick “stand out” features but they all stand out. Scott Simmons does a good job of describing the features, so I won’t take up space here to rehash. Of course I love the “Range Based Keywording” and the Smart Collections. (I asked for smart bins and Smart Collections was the result, in fact the same concept.) What’s interesting is that in looking at the Event window close up, I don’t see anything but Smart Collections. Now, don’t get hating, you can still control where your media lives “old school fixed bin style” by simply adding the Bin name you want to clips as a keyword. You’ll get a Smart Collection for it. So if you want to find all the relevant clips in a “Jindabyne” bin (for example) add “Jindabyne” to the clips you want as a Keyword (to the whole clip or to a range) and you’ll get a Bin you can use the same way you always have. Anything that encourages people to add keyword metadata is just fine by me, even if my reasons are professionally selfish! But you have more power because you can not only find them fixed bin style but also by any keyword, shot type, person count. I’m not sure if that counts as my “Rebuild the Bin/Browser structure” because we had a very superficial look, so I don’t know if we can view all source metadata, but my guess right now is that we can. The stand-alone Viewer appears to have disappeared as expected. The new hybrid browser/viewer window shows how easy it is to mix formats! The smart processing on ingest – all done in metadata so it’s not destructive and can be undone at any time – of stabilization, basic color correction (to neutral balance), etc. and the ability to start editing before the media has finished transferring from the source. I love the trackless timeline. “Tracks” are created and removed automatically as needed. And if there’s a clip collision, one track just moves out of the way, into a new track automatically. I think Compound Clips are a worthy replacement for nested sequences, hopefully without all the issues that nesting can bring to downstream workflow. It appears the focus for editing, effects and trimming is in the Timeline. Basic clip trimming is done in the new hybrid browser/viewer window and then fine tuning is done in the Timeline. Not everyone will like this approach, but that’s where I’ve done my fine tuning pretty much all my NLE career, probably because I started in Media 100! I hope they have adopted the iMovie idea of quickly skimming through one clip after the other and having them automatically added to the Timeline when the trim is complete. Very fast for a quick first string out. Without enough detail to really be sure, it appears that most editing, trimming and fine tuning of the edit is all done in the Timeline. So that functionality of the dedicated Viewer has simply moved to the “Inline Precision Editor” where you can see all the trim not already used in the edit. This seems to be a more fluid workflow than opening one of the clips into the Viewer for trimming, or trying to use the Ripple and Roll tools in the Timeline. I totally, totally love the new Auditioning feature (probably my favorite). Where you’re uncertain of the clip that will be used and want to give a producer or director alternatives to pick between, it’s a wonderful feature. However both Scott Simmons and Dan Wolfmeyer point out that there are definitely times when you do not want your Timeline automatically adjusting in length, when the show needs to run to time and the time has been locked. We were told that many features were optional, so hopefully this one is too. We didn’t see any title generation or filters used. Boris announced today that they planned to support Final Cut Pro X, so hopefully that means that FXplug still exists in the app. Alternatively they could have opted to support Quartz Composer for effects without an FXplug wrapper, as they’re quite similar in some ways. Even if FXplug support continues, plug-ins will need to be compiled to 64 bit before they can run in Final Cut Pro X. Filmlight have also clarified that their NAB-announced Baselight plug-in for Final Cut Pro will work with Final Cut Pro 7 and X. Good hints that FXplug survives. 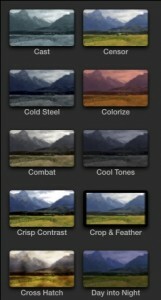 The ColorBoard in Final Cut Pro X. Combine the ColorBoard and the preset looks, with powerful Secondaries and most of the need for a separate application has been eliminated. The color features – beyond auto white balance correction on ingest (optional and non-destructive) – show the ability to apply preset looks, fine tune them, and use both shape based selections or color range selections for secondaries provides more than 80% of the color correction features that most editors need. This is really indicative of the Apple philosophy at play. Make something that does at least 80% of what could be done, and make it really accessible to non-specialists. There are now several great high end tools for OS X that meet the specialist needs of the true color timing specialist: Resolve, Smoke on the Mac and the Baselight plug-in. 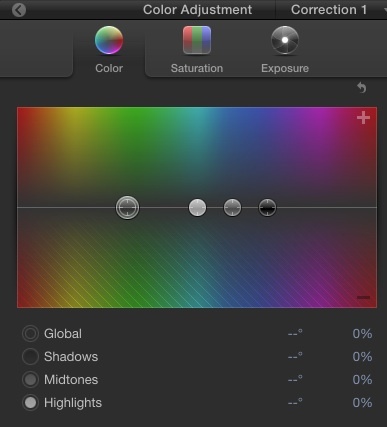 I have to conclude that Color is probably not going to be available beyond the Final Cut Studio 3 package. While some have conjectured that Motion and Soundtrack Pro are also, in some way, incorporated in the Final Cut Pro X interface, I don’t see any hints in the interface. The Supermeet was a preview of Final Cut Pro X and it was explicitly stated that they wanted to keep the focus on that app. What is obvious is that animated Text effects have been added from Motion. On the balance of probability it will be in the App store (only?) with a price similar to the last upgrade. That I nailed. In fact so far I think I’m doing pretty well on my various predictions, but at this point there are still too many unknowns for me to go through the list and check my score card. Thanks to Apple for the screenshots. They’re of course copyright to Apple so don’t share them anywhere. Very happy to read a positive spin on X, Philip. Thanks. And congrats on your score card. Nicely put Phil – keep up the good work. June is too far away for me. I have been following your ideas (and others) on what the new Final Cut should be, or could be, for quite a while now and amidst the clutter of opinions from people who want things that are already in there or they want things out that made FCP such a success in the first place, I am missing one very important fact: why is Avid a better tool for narrative editing. I switched from Avis to FCP 3 and never looked back but for one thing, the trim tool. I edit a lot of TV drama and the occasional feature and started to avoid using the trim tool because it made me wish I had an Avid, tweaking a edit with FCP’s trimtool is a drag. I wonder if the new ‘magnetic timeline’ makes a-synchronous and bi-directional trimming, sound in one direction and image in the other in looping mode, as easy and fast as Avid. The other question is ingesting material with multiple audio tracks, let’s say XDcam. With XDcam transfer you can choose which of the 8 audio tracks you want to import, often most of them are empty, and in the present day FCP you can choose which audiotrack you want to import in the timeline. How does FCP X handle this? Many other question remain, hardware still compatible, round tripping to other apps, etc. But most of it looks very promising, I kind of miss the viewer but that’s probably because I started editing film on a two screen Steenbeck and in that day hated the one screen flatbeds. I know no more than what was shown last night. For narrative, perhaps what I mean is that most narrative editors are very comfortable with certain workflows and since that gets the results they get paid for, have little incentive to try new workflows. Whereas a larger, probably younger, group just want to be productive and if the software can help so much the better. For ingesting multiple tracks, the only thing I can remember being relevant is that FCP X will mute (or not import) audio tracks that contain no information. I think the announcements are exciting, but we do need that extra pro info we did not get at the meet. We waited long enough for this rewrite, so 2 months won’t be too hard. It will be good to see Motion X as well, or most of it’s features implemented inside. If Color’s pro features are interegated into one FCPX app, that would be a very convenient roundtrip-free workflow as well. Well, the interface is finally dark. A bit less gradients and well b fine. Audition looks super useful. One thing I would like to see is the full set of trimming tools. Heres to 2 months of patience, rumors and trickled down Pro info. @Snow. Keep in mind this was a “preview” not a launch. If we didn’t get that information at launch we would be legitimately annoyed. As it was only an overview of some functions it’s implicit that there’s a lot more to know. Did you notice that there wasn’t a single menu driven operation in the whole demo? Lovely to read a considered positive article. There’s been a lot of negativity about this release both before and after the announcement. I think reactions will vary to FCPX depending on how you like to edit – in this demo we’ve seen just one way of driving the software, but I’m sure there will be at least 3 ways of doing everything just like we’re all used to. My view on it, as someone who I think uses FCP like Philip does, is that it’s very exciting. It’s got all the power under the hood that we asked for, and possibly a little more besides. I can’t see any negatives in the revamped interface, so all we’re left with is the EDL/XML question, how old plug-ins will work, and what external hardware will be supported. I’m going to take a punt and say of course all these things will be in FCPX. It’s a pro bit of software, Apple won’t remove functionality for shits and giggles. And the last bit of negative criticism I’ve heard – that of the price opening the floodgates for a slew of untrained editors? Utter nonsense. FCP has been widely torrented up to now, and that’s a lot cheaper than $299. The new price for the software is an obvious driver from Apple to get people to buy new hardware, which is where they make their healthiest margins. And as we all know, once you get used to OSX you just don’t want to go back to windows. Very interested to see what becomes of Color. I hope to see a RT environment much the same as Resolve. Time will tell. Anyway, enough rambling. Good article Mr Hodgetts. What I find both interesting and undeniable is the steady march towards “more professionally” user generated and produced content. First let’s get out of the way that the pros are always going to be the pros and you will always get what you pay for… It’s like a Pizza stand (perhaps not the greatest analogy but bear with me)…there’s thousands of them in any given city/location. But the good one’s will always have a line and a very steady stream of business flowing their way. But where this all becomes incredibly interesting, when taken in the context of a larger worldview is that more accessible and powerful tools like FCP X that are CHEAP (relatively) combined with the fact that worldwide adoption of ever more powerful cameras, really cheap to free smartphones with incredible image capturing capabilities, etc, etc are just going to continue an onslaught of user generated content that is going to make today’s “UGC” look like vaudeville acts and silent movies of the early 20th Century. The network effect is going to be pretty much as infinite as it will be fascinating/engaging and world changing (both good and bad). And the quality of this content is going to improve vastly b/c of tools like FCP X. Heck, you can’t tell me that the great editors of today can’t create incredibly compelling/quality stories even on iMovie that would engage millions upon millions on the world wide web. Which leads to my last point. I understand the gnashing of teeth that many are going through with all of this… It’s understandable and make no doubt about it – the production world is going to continue to go through unbelievable upheavals and previously unthinkable opportunities will spring forth from them. And in my view editors mindsets and skillsets are positioned extremely well for what I believe is the coming of Web 3.0 – namely editing and curating of a vast array of information – packaged well and told as a story (don’t take story too literal here) be it in the packaging of data to make it useful or endless streams of video and audio. The curation and packaging of this material is going to be prized and highly valued to those who are both passionate and highly skilled and know the audiences they are serving. The editors who can position their skills and more importantly their mindset to this new future are going to do extremely, extremely well IMO. After digesting as much as I could take about the new FCPX I feel a little bit empty. What will happen to all the other apps in the suite? Will the final release of FCPX be more like Smoke? It would seem that the FCP they showed is a couple of months old and they have moved on a fair way since then. 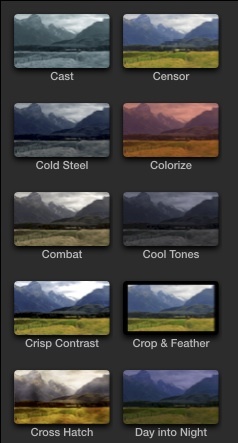 Does this mean that major elements of Color have been moved into the belly of FCPX – so no real need for a separate Color app? Could Compressor be moved into the main app just like Color? Having access to all that background ripping would allow that sort of thing to go on without a hit on FCPX? DVDStudio Pro – who needs it? SoundtrackPro? What about Motion. What the hell about Motion!! And finally the price. Is that an upgrade price or a normal price? I am one of those pros who makes a living in Hollywood editing on an FCP system day in day out (after having started on film, then video, then AVID and finally FCP some 7 years ago). I am extremely excited about FCP X. Now, I don’t do long form – even though I work with feature films – our cuts are usually 2 minutes and 30 seconds long (movie trailers). It seems like the new organizational features like key-wording could be a huge benefit to our workflow (finding every usable shot from a movie in an instant). The new auditioning features – could be fantastic for us as well. The seamlessly fluid timeline looks like it could really boost productivity. We are constantly under pressure to push the creative envelope in shorter and shorter turn-around windows. Even though I am huge fan of technology, I want my editing software to get as much out of the way as possible (that’s the one thing I really didn’t like about AVID). I know, it’s too early to tell, but it looks like FCP X could be that very NLE that you can just use but don’t feel. Even though we might not switch to FCP X at our shop any time soon, but at $299 everybody can afford to simply put it on their personal Mac and start playing, learning and experimenting. I don’t think Apple has dumbed down FCP. They always concentrate on a few flashy features and don’t talk about “boring” technical details. And even though this was a pro event, we all know that they were talking to a much much larger user base. And that’s a very smart thing, IMHO. It’s a new era where amazing professional tools are now available to almost anyone. I know that scares a lot of “old-school” pros who’d like to continue hiding behind their complicated machinery. But our industry has changed for good and it’ll make us all more creative and productive, if we choose to let it happen. I couldn’t be more excited. @Philip, the only menus I saw were dropped down, were from buttons in the interface, a la iPad style. The fact that Randy stressed about full keyboard control, drove that one home for me. A simple interface for a complex system looks and sounds good. The Magnetic Timeline looks impressive. Magnetic trimming looks great. Any news on the move from QT to AV Foundation? Will it effect QT formats as ProRes? Well, as you know, FCP ws Key Grip, a PC app and the conversion to Mac never brought the interface in-line with Apple’s UI. So it’s not an OS-9 thing, it was a hasty-conversion-from-PC thing. And, as you also say, “Yes, it does look like iMovie” so it’s also a bit less “fresh” as it borrows heavily from a 2-year old product. I’d be curious if there’s a way to save existing projects and “nests” where new footage can be dropped into existing placeholders so that really quick turnaround of footage into polished product can continue like it did with FCP. @ChrisWilby They’re all very good questions and pretty much everyone who’s written has asked them. I pointed to Walter Biscardi’s list rather than simply rehash them myself, because we just do not have any information. We don’t know anything about the rest of the suite and won’t until Apple are ready. The version they showed is the same they showed in Feb and Randy Ubillos told me that it “has changed a lot since then”. How, we don’t know. With the App store there is only ever one price. Say goodbye to upgrade pricing. You buy it, and if you want the next version you buy it again. AV Foundation clearly supports Pro Res and AVCHD from the screen shots, and that’s no surprise. If AV Foundation can be made to support native codecs, it can support QT codecs. @Anthony compatibility with existing projects remains unknown. And from what I hear, as yet unsolved. But we’re two months away from release. Very well done article, Philip. It was also a blast to spend time with you and Greg. Happy times! While the “trackless timeline” does look very cool, it raises one big question: how does one keep a large amount of audio tracks organized? How can we keep all our music trakcs together? How do we seperate sound effects from dialogue tracks? Do new audio clips when they get added to the timeline always move all the way to the very top? In Apple’s screenshots we only see two layers of green audio clips. I am wondering what the timeline would look like with my usual amount of 36 audio tracks and more…. Various points in the demo show way more than 2 green audio clips. The question of organization is another unknown, though it may well be that you can push the audio around to flip the position of the audio to where you’d like it. If you’re going to be pushing out OMFs, you’ll obviously need to be able to do this. @Philip. A thought occurred to me about this whole, “Looks like iMovie” business. Based on the tracks of development, that FCPx has conceivably been in development for over 2 year- isn’t it way more likely that FCPx GUI spawned iMovie’s, rather than the other way around? Good piece, Philip, though I have to say I’m not quite as over the moon about this as you are. It doesn’t really look like a reimagining of the NLE as you say. It’s moved some things down to the timeline, and made the viewer window more context sensitive. Some of the things that the timeline is doing remind me of Avid from ten years ago, except that FCP is doing is more elegantly (not a small thing, admittedly). 64 bit is awesome, especially combined with Grand Central. I’m not a huge fan of Auditions, possibly because it seems just slightly better than the versioning I’m used to now. And the trackless timeline (not really, but I know what you mean) means that we’ll all have to figure out how to organize our audio differently. Right now, I love keeping music clumped in one set of tracks, BGs in another, hard effects in a third. The collapsing of sections is awesome to me, though, and I can’t wait to use it to help real estate. Like many things that Apple does, they present it as revolutionary than evolutionary. This is the case with FCP X as well. It doesn’t mean that I don’t love evolutionary. It just makes me very suspicious when I hear about writing history. I will probably leap on this version like I would a great steak, but it’s still steak. Better steak, but steak. The trackless timeline raises a lot of questions – like keeping dialog and music separated. Maybe virtual tracks can be created with tags???? I dunno. I think the basic iMovie UI comes from iMovie 09 (08?) with some new elements, but I do think they evolved somewhat more in parallel than would be immediately obvious. And I think there’s a lot of goodness to come. I have a Mac Book Pro i5 and am thinking of a Panasonic TM900 camcorder. Will FCP X work on MacBook Pro and will it handle 1080/60p video. Excuse me if this is the wrong place to ask. Anyone? I’ts as good a place to ask as any Mike, but like every other place you could ask, there are no answers 🙁 OTOH, based on tidbits the performance is amazing on any current hardware. Any. I damn well hope it works brilliantly on my 16 month old MacBook Pro!!! But where are you getting 1080p60 footage? Metadata keywords may be a way to isolate audio. Along with so much, we just don’t know. Great job Phillip! On the nail, great reviews. Good question about plug-ins. No official word but Boris has said they will support FCP X and the new Baselight plug-in will support both FCP 7 and FCP X so I’m hopeful. You’d have to hope that a more normal track based timeline can be enabled (even partially) so we can keep our music and fx organised ‘down there’. I’m getting frustrated with the current FCP now every time I have to stop working to render something. Bring it on. The whole track concept while seemingly great for some things, does complicate audio export and reporting. Apple Hardware is great, regarding Apple software some is great and some is total crap. I LOVE my iDisk but MobileMe mail is absolute total crap, 3 years behind everyone else. Why am I still using Word/Excel on my Mac?? Video editing in its simplest form is pretty darned easy, it is the editor who is key. So we need to start looking at the peripheral tools and what takes a flat 2D experience in to something really visually pleasing. I personally hate Adobe Premiere but the CS5 suite is just astonishing. There are fellow students at my daughter’s uni. who are probably nearly as good as a creative genius like Deke McClelland on Photoshop/Illustrator etc. So you now have a mass of people shooting on HDSLR who have got fed up with FC Pro’s lack of being able to handle that format easily. Most of my daughter’s friends have student editions of CS5 and are “CREATING” stuff and really GOOD stuff too. The integration in CS5 is now totally “jaw dropping”. Philip have you used smart objects much?? and much as I really love Motion, After Effects seems to be everyone’s preferred option. Mark Spencer (Motion guru) on MacBreaks quizzically looks at the timeline in Photoshop Extended frowning. I really really hope FinalCutX delivers the goods, really I do!!! BUT if Randy and crew have “absorbed” the new Final Cut in to the Apple myopic “eco” system then not so good. My Apple TV was totally useless until I adapted it for wider use. Integration and I DO mean integration is the key to “software success” these days and Apple need to bear that firmly in mind. I don’t know why you’re using Word and Excel. I’ve completely replaced them with Pages and Numbers. Apple get what the majority of professional editors want to do and it looks like FCP X does that very elegantly. It *might* be that certain niches in production – narrative TV, episodic TV or movies – *may* not be as well suited to this next release. Or they might. We just don’t know at this point. But one thing I can pretty much guarantee. This will not be a release optimized for “Hollywood”, instead for the huge non-Hollywood, non-broadcast, non-film market. And they’ll then grow that 2-5 times. Thanks you answered my question perfectly as I use Word/Excel due to “habit” that is why I will most likely move on to FCP X NOT move over to Adobe Premiere. A high percentage of professionals still seem to be using AVID. Whilst of course the young “underbelly” who are not forty or fifty somethings “move on” to “creative pastures new”. Just hope Apple have a good “game plan” in place as FCP X is touted to become one of the most upcoming torrent-ed “targets in view at the moment. But that is youngsters for you trying to be “Creative”!! there is a constant and fast revolution which brings along a kind of liberation in media content creation. it changes most of the things we have been used to for long years. unfortunately, this is the big problem of pro guys. they cannot properly see these fast changes, especially guys over 40 years old. they believe that they are the only people, doing this job in this world. compared to 6-7 years ago, there are millions of people using these softwares. most of them do not work for a kind of post house but this does not mean that they are not using these softwares as deep as pro guys. most of them are very interested in improving, learning new skills such as color correction, motion graphics techniques, sound design, and so on. of course, there are so many essentials tools pro guys need but these will not stay there for ever. they gonna change and we not gonna need most of them soon. i think apple foresees this direction very well and improving its stuff in this direction. what i see with the new version proves this. as someone using fcp for more than 7 years, i could say that the new version gonna solve many problem i have been facing for long years. besides, i think, i will also have pretty much fun as i use it. as for the direction of the overall suite, as far as i could guess, apple gonna kill the rest of the applications by adding some features of motion, color and soundtrack pro to fcp x,and they gonna come up with a kinda merged motion graphics, compositing, grading tool, using many features of shake and compressor will probably be a part of both fcp x and this application. of course dvd pro will stay at app store for a couple of years and then will be a thing of history. Speaking as a 58 year-old FCS Master Trainer who was there for the Sneak Peek, I’m totally stoked about the new version. I look forward to spending the summer re-programming my brain! I almost never comment in forums… but these are heady times! Everyone is dealing with the obvious and I won’t go into that again. What I will say, is that as a pro studio I am truly disgusted with apple’s QC in the last 5 years. We are busy and the complete failure that was aperture 3 (now fixed) had disastrous effects on our workflow. Not to mention that iMovie has bugs in it (audio) since its own revolutionary release. We just finished a documentary film and I am choosing to outsource DVD and bluray creation because apple have an agenda. I will buy fcx and transition the whole studio but we will rely on the workhorse that is premiere for a year while everybody else ruins and corrupts their workflows with this amazing, likely super-buggy product. I expect I’ll get trashed now: “first release what do expect blah blah blah…” look, do you know what a sneak peak 3 months before release means? It means they are RUSHING. That’s what they are doing these days. And the resources they throw at their pro sw are miniscule compared to the istuff. I wish it wasn’t so. I think on one point you’ve hit the nails head – FCPX is designed to excel Apples video editing market. However, seeing they are comparing them selves to AVID and ADOBE I have a very hard time seeing they abandon the mid- to highend markets, be it broadcast, post production or feature films. Time will tell, but it would surprise and sadden me if these markets are lost and from what’s been shown I see no reason why this would be the case. All this is based on a fear Apple won’t make FCP handle what it handles today. That said, even if FCP X turned out to be less suitable for certain workflows, in first incarnation, than FCP 7, Apple could afford to “let go” (at least temporarily) that rarified niche that is “hollywood and broadcast tv” – at most 100,000 worldwide – in order to add another 5 million professional editors in other market places – event videography, cable channels, corporate, church and education are all much bigger industry sectors full of pro editors, than the “hollywood and broadcast” niche. Under the SHARE menu in FCPX, I would bet money that one of the options will be to send your viewer output via AirPlay. That means that you could pump your output via TV to TVs and projectors [only 720p mind you, but still]. I bought a KonaLHe 5 when I started my business, and never used the darned thing for anything other than monitor output. When I got my new MBP, I picked up a Matrox Mini for monitoring- much cheaper, but still $500! Think of the number of people for whom a dedicated monitor could now be served by the $99 cost of an TV. Certainly not for the highest end users who need absolute colour accuracy, but as a VERY affordable alternative to these custom monitor out boxes. And I’d be surprised if the next update to TV doesn’t increase support to 1080p. Could be Marcus, that would be a good thing. I’m still going to want a viewer. Even in the upright moviola days, I could add another picture head, or there was the viewer on the rewind table. Why have to throw everything into the timeline to edit there? Of course this could just be the grumbling of an old f*rt. I AM looking forward to noodling around in it until I’m comfortable in using it professionally. Do you suppose it will co-habitate with Studio on the same boot disk? That’s an interesting question. It would be a real slowdown to have to boot into another disk to use compressor. I think you’ll find you won’t need a viewer the way Final Cut Pro X is set up.All the functions of a Viewer are still there, but in more convenient locations. I expect FCS 3 and FCP X to co-exist on the same drive without problems. They are unrelated applications.